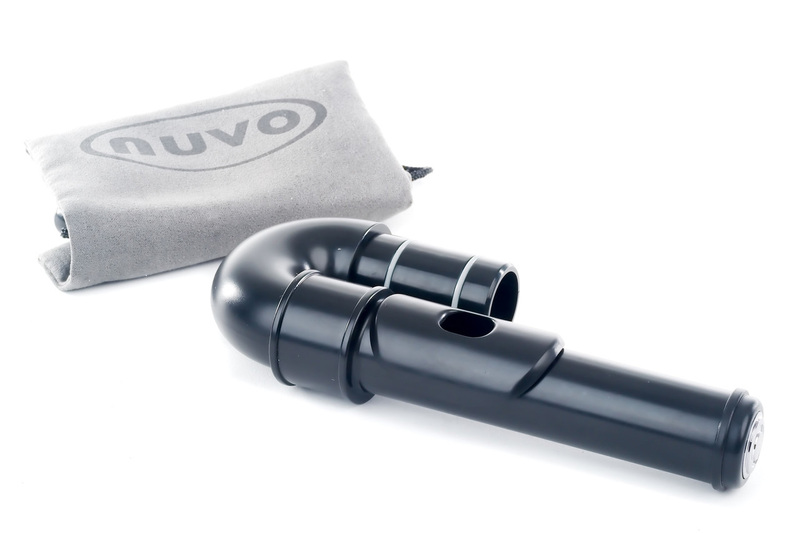 Official curved head option for use on the plastic Nuvo flutes. The curved head makes the overall length of the assembled instrument shorter and thus is ideal for younger players. Please note this component is only for use with the plastic Nuvo flute and is not compatible with normal nickel silver flutes. I was very impressed with the head joint and it sounds just the same as the straight head joint that came with the Nuvo Student flute. The only issue was you need to add quite a bit of grease to the o rings to make it fit. You can rotate the top part of the head joint to get the right angle which is great. It doesn't come with the first note lip plate but I had one supplied with the main flute.